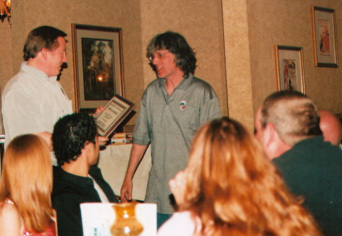 Instruments for the youth was originally started as a non-profit in the State of Florida in 2004 by Michael Malott. IFTY works to arrange for celebrity visits to children's hospitals. The charity does not receive any financial donations, and none of our staff or associates receives any financial compensation and all work is done strictly on a volunteer basis. 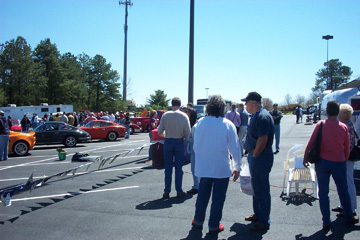 Any promotional materials given to our charity for our annual free auto show and other events are either awarded as door prizes at our events or given away to attendees or children. We have received the support of over 100 top name celebrity personalities and leading companies. We are also now making it a priority and will be working to create a committee that will aggressively work to fight for tougher child abuse laws and more severe punishment for those convicted of crimes against children. Our work will include petition drives, public speeches, distribution of literature and event attendance and more. We are working to build a law referral library and engage members of the legal profession who may be interested in helping us with this fight. Our efforts along with our director's Tosh Foundation project and Tribute Album (also a charitable cause) had been featured by over 200 publications worldwide including CNN Headline News, ABC World News, USA Today, Rolling Stone, and several times by MTV and VH1. Over 500 publications worldwide have featured the charities efforts. Instruments for the Youth's efforts had been praised by Nelson Mandela, The Prime Minister of Canada and the Prime Minister of Trinidad. Instruments for the Youth originally was started with the sole mission to provide free musical instruments and music lessons to underprivileged and impoverished children. However, our organization had extended its efforts to include arranging celebrity visits to children's hospitals and also providing school books, supplies, toys, and clothing to underprivileged children and families. Plans are also being considered for a future one week camp for needy children featuring celebrities as camp counselors. Paul Stanley of KISS, in conjunction with Silvertone guitars (both supporters of our charity) donated an autographed Silvertone "Apocalypse" model guitar for David Dingman, who is a child currently in remission from cancer. 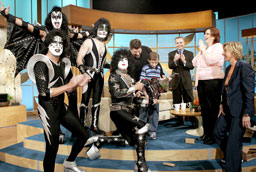 As a huge fan of KISS, Dingman was genuinely surprised when the band showed up on the Ellen DeGeneres show, to present him with this one of a kind autographed guitar. "We are all capable in our own way of making such a difference for those in need or less fortunate than us." Paul Stanley states, "We should all remember, it takes so little to do so much for so many". THANK YOU KISS AND SILVERTONE ! 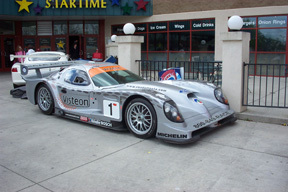 PANOZ MOTORSPORTS SAM HORNISH JR.
CHUCK BECK MOTORSPORTS STAR TIME ENT. Zachary has also been featured in the news for his remarkable painting ability. Often compared by experts and critics alike to American abstract artist, Jackson Pollock. 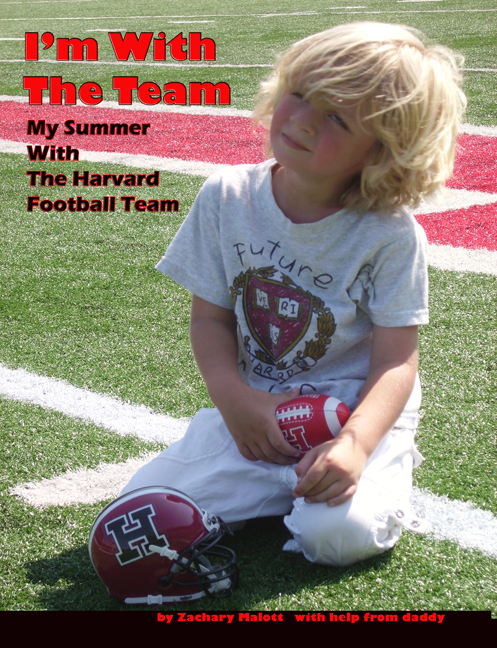 CLICK HERE for more information on Zachary Malott's children's book and paintings. new laws to protect children. overall was a huge success. record vehicle and much more. Do you have an old musical instrument sitting around and collecting dust? Taking up space in your attic? Crammed away in your garage? Instruments for the Youth can turn your old instruments into refurbished dreams for underprivileged children. If you have an instrument you would like to donate, contact us and we'll still put it in the hands of a needy child. Do you know an underprivileged child, who you feel could benefit from our efforts? If so, please contact us and let us know.